Are you looking for the nearest locksmith? Consider this scenario: you are locked out of your car and want to contact the nearest locksmith to get in your car as quickly as possible. You call a locksmith that boasts “guaranteed lowest price”. Then you wait. When someone finally shows up, it appears as if the locksmith’s never jimmied a lock before. And when you are finally back in your car, you find out that the price you are being charged is double as compared to what you were initially quoted. Frustrating isn’t it? To avoid this problem, it is recommended to hire the services of a locksmith who is fully licensed and insured. Ben’s 24 Hour Locksmith provides the most reliable and affordable locksmith services in your neighborhood. We are the preferred local emergency and non-emergency automotive, residential, and commercial locksmiths in Miami, Broward, and West Palm Beach. You can trust our insured, bonded, and fully licensed locksmith technicians to provide the finest locksmith services. Why Hire Our Nearest Locksmith Services? Ben’s 24 Hour Locksmith offers a wide range of locksmith services that are designed to suit your definite needs. We can install and fix any lock brand to any kind of door or window. All our technicians are experienced and well-trained to provide you with the most professional and advanced locksmith services. Our technicians are efficient, reliable, and trustworthy. Our skilled locksmiths are committed to providing affordable and efficient services by using the latest techniques and technology. At Ben’s 24 Hour Locksmith, providing you with an excellent locksmith service is our mission. At Ben’s 24 Hour Locksmith, we know how difficult it can be to find a trustworthy and reliable automobile locksmith to assist you in a stressful situation such as losing your keys, breaking your ignition key, etc. Our goal is to provide an excellent and honest automobile locksmith service to our clients. Our team is dedicated to making sure that you have peace of mind knowing that all your locksmith needs are covered any time of the day and night. At Ben’s 24 Hour Locksmith, it’s our job to protect your workforce environment with our commercial locksmith experience and our trusted technology. Our team is equipped with skillful technicians that have years of hands-on experience with the most advanced technology in the field. Whether you require an access control system or a high-security lock installation, you can count on us. Residential locksmith service is one of our trademarks. From door lock installation to duplicating lock key, to various other residential locksmith services, we’ve got you covered. 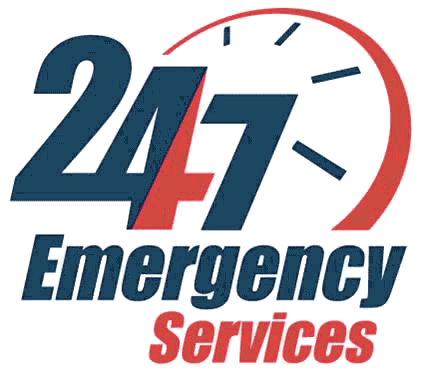 Ben’s 24 Hour Locksmith offers an all-inclusive home security service: Door locks, fire and burglar alarms, sophisticated high-security lock systems, and access control for your medical or law office. Call at (954) 580-3646 or click here to contact us online. We would be happy to help! Hire The Nearest Locksmith Around Your Area	Overall rating:	5	out of 5 based on 9	reviews.